if we using PDA-phoe with windows as its OS, it has windows messenger. 1) No, I dun think it can produce Office documents, but it can edit them if u hv software like Documents ToGo. 2) This phone doesn't have WiFi, but a WiFi card is easily available. 3) In order to set MP3 as ringtone, u'll need 3rd party software. I'm currently using LightWAV Pro myself. is this phone able to produce office documents? hey does it accept 2gb card? does the 650 have wifi? hi guys. i really look forward to buying this . but meanwhile i still love my 650 so much. i just found out that a software called SOFTICK BLUETOOTH GATEWAY which support bluetooth wireless music (A2DP) on my 650 from softick.com . and you guys can find more software from that site, such as one software called card export can use the memory card as a mass usb drive when connected using usb cable. and many other very useful software using bluetooth technology from treo650. i am gonna try out these software and buy a bluetooth sony stereo headset for wireless music. in case of fm radio and tv tuner on treo 650 you guys can buy some SDIO fm radio or tv tuner card ,have a look at this http://www.palminfocenter.com/view_story.asp?ID=­4831 but make sure its compatible with your handheld.enjoy guys! you need 3party app to use mp3 as ringtone. Hi. I see in Australia now the treo 650 has blackberry capabilities. has anyone used this yet? and how is it? 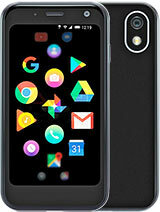 Hi All, Heard frm a fren tht palm has launched a new model in US - Treo 700w in the US and will be launching a similar model in Singapore soon. Heard thts its cool n most functions are accessable with much shorter steps... Any idea what model or any specification avail ?? Good phone but i also don't know how to put mp3 song to my ringtones.Can somebody help me? Is there anybody that can help me with synchronisation to a laptop? It runs and syncs everything except Calender with Outlook. I have changed the settings to include this and set it to default, but it changes the setting by itself. Anyone knows if there is other ways to get wifi connection for this phone than the big wifi sled? Bugginess of the operating sytem?? In my opinion (which is only my opinion), it is more stable than your Windows Mobile devices :-) I absolutely LOVE my Treo 650 :-) Can't wait for the Treo 750!!!! !